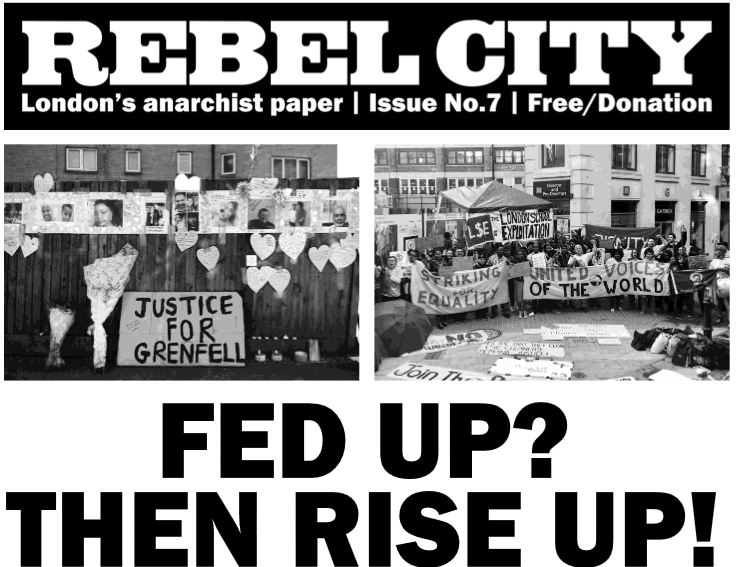 Surrey Anarchist Group made up of AF and ACG members were outside Redhill train station last week distributing the remaining copies we had of Rebel City No.8. We turned up there in the early evening just as the commuters were returning from London. Many people were interested in taking the anarchist paper. After handing out the Rebel City we wandered through Redhill town putting up AF and ACG stickers.